Entertainment Tonight's tweet - "Our boys looking absolutely STUNNING on the #GRAMMYs red carpet! 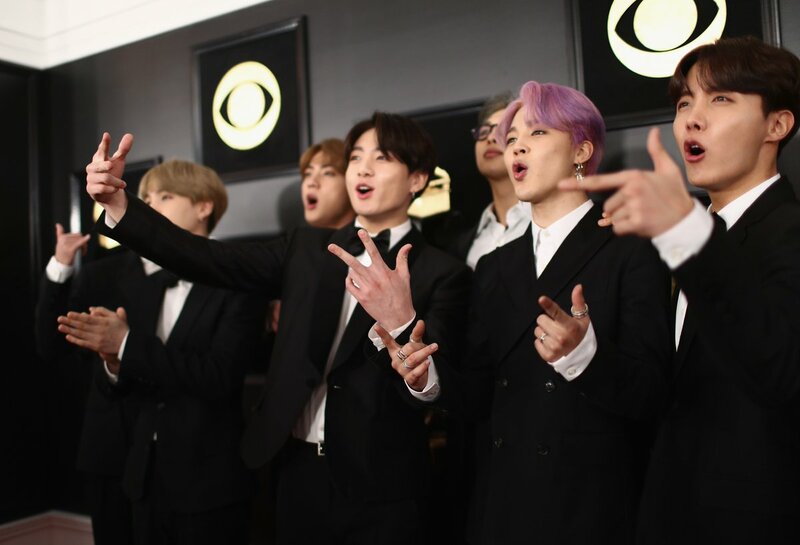 ❤️ @BTS_twt #TearItUpBTS "
"Nossos garotos estão absolutamente DESLUMBRANTES no tapete vermelho do #GRAMMYs!" #BTSARMY help ya girl out! WHO is in the glasses?! "Nossos meninos absolutamente DESLUMBRANTES no tapete vermelho #GRAMMYs! ❤️ @BTS_twt #TearItUpBTS"